Home Modular Construction News Prefabrication: The key to unlocking affordable housing? 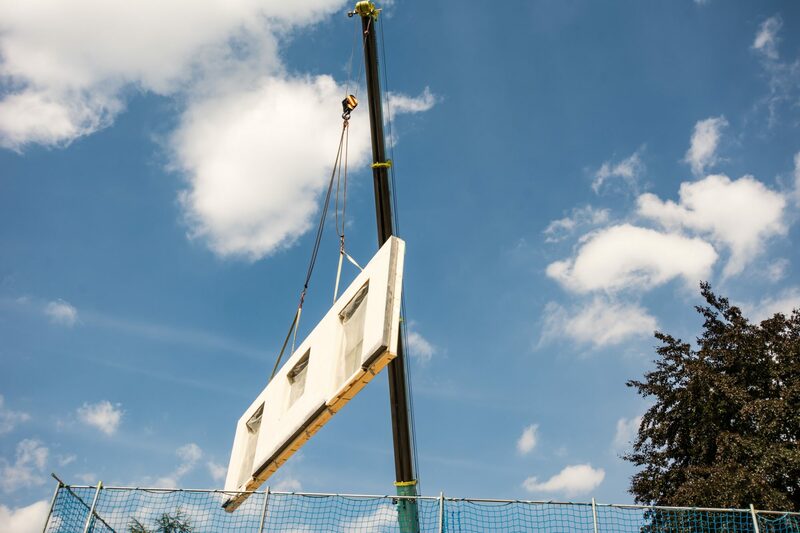 Given the current housing crisis and the declining number of skilled workers available to work on large-scale construction projects, an investment in modular housing could offer a cheaper and quicker alternative to traditionally-built homes. While the construction of more conventional brick buildings is often hindered in the UK by colder weather, factory-manufactured modular homes can be built whatever the outside temperature, meaning that they can be constructed quickly and efficiently at any time of year. 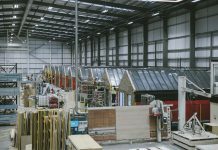 The popularity of prefabricated homes in the UK has grown over the past decade and they are no longer purely associated with eco-conscious self-builders. Recently, there have been several new large-scale developments throughout the UK including one spearheaded by Coventry City Council, which is trialling the use of modular construction to help alleviate pressures on the area’s housing stock. 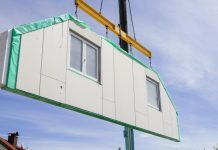 As build times of modular homes are reduced by between 30 and 50%, compared to conventional construction methods, these properties are watertight and can be connected to water, gas, and electricity in a matter of weeks. 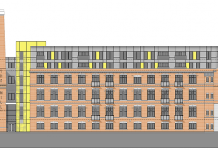 For instance, a Nordic Homes student accommodation project in Liverpool, a 2,200m2 building of 95 modules over four floors, was assembled in just three weeks. With the shortage of land in the UK, building upwards proves far more effective than building outwards. 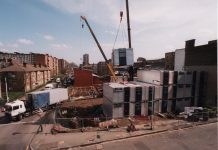 By adopting modular construction techniques more readily, public authorities would have increased flexibility with regards to the use of land and constraints over plot size would not pose such an issue, especially in hotly-contested city centre areas. While considerable advancements have been made since the prefabricated homes of post-war Britain, there is still a general concern that modular homes only offer a temporary, lower-quality, solution. However, this is no longer the case. Often, the materials incorporated into modular homes are of higher quality than those used in traditional new build homes, meaning that they may even last longer. When considering the longevity of housing stock, it is important to bear in mind the adaptability and flexibility of a home, as well as the physical, material aspects which can help to make it future proof. The majority of modular home construction projects begin with an external shell, allowing for an internal plan which can be redesigned in accordance with the needs of the occupier. The customisation of internal space has the potential to redefine the housing industry, particularly the social housing sector. 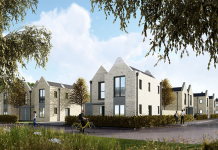 The ability to create options within social housing could be critical to reducing long waiting lists for homes with a fixed number of bedrooms or specific floorplan. In a modular future, the size of social housing properties could be categorised by square metre, as opposed to bedrooms, allowing housing to be adapted as necessary. Bedrooms could then be added or removed as families grow, instead of requiring tenants to relocate to other, more suitable properties. As well as growing families, there is an increasing risk of climate change and the UK housing market must react accordingly. Modular buildings fall in-line with the government’s requirement for all new homes built from 2025 to be heated by systems free from fossil fuels, since prefabricated homes can be easily built with integrated renewable energy systems. In terms of energy regeneration, modular homes prove to be far more efficient than traditional new builds, because of their airtight construction and high levels of insulation. 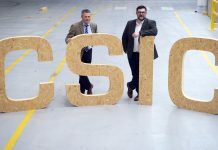 Therefore, if built correctly, the future occupiers of such homes have a huge energy-saving prospect, with eco-efficient homes providing the opportunity to even sell energy back to the national grid. In addition, methods of modular building have also improved over the past 70 years. Processes such as Building Information Modelling (BIM) – which builds computerised 3D models of buildings, as opposed to the standard 2D drawings – have altered the way in which information on construction projects is created and managed across the entire project lifecycle. 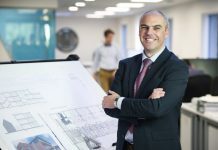 By creating a digital BIM model, all parties involved in the build, from structural engineers to plumbers, have access to the same in-depth information and can act with maximum efficiency. The BIM method gives builders total control from the beginning to the end of the construction process – it also has the potential to improve building safety and upkeep. 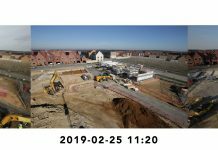 For example, offering managers access to data on the make, model, warranty and even lifespan of any aspect of the building, therefore offering an efficient solution to maintenance management. Precision-engineered, efficient modular homes offer a viable solution to the UK’s housing predicament, not only in improving the quality and usability of housing stock but doing so quickly. However, it is clear that higher levels of commitment should be made by housing developers to make modular a more prominent choice. 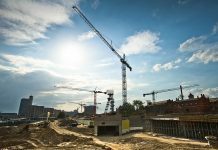 Rather than prioritising profit margins, developers must consider the wider benefits of a process which could indeed be the answer to the housing markets woes.